For lunch, sometimes there is nothing like a good old-fashioned breakfast. On a recent Friday, this was exactly what was called for. 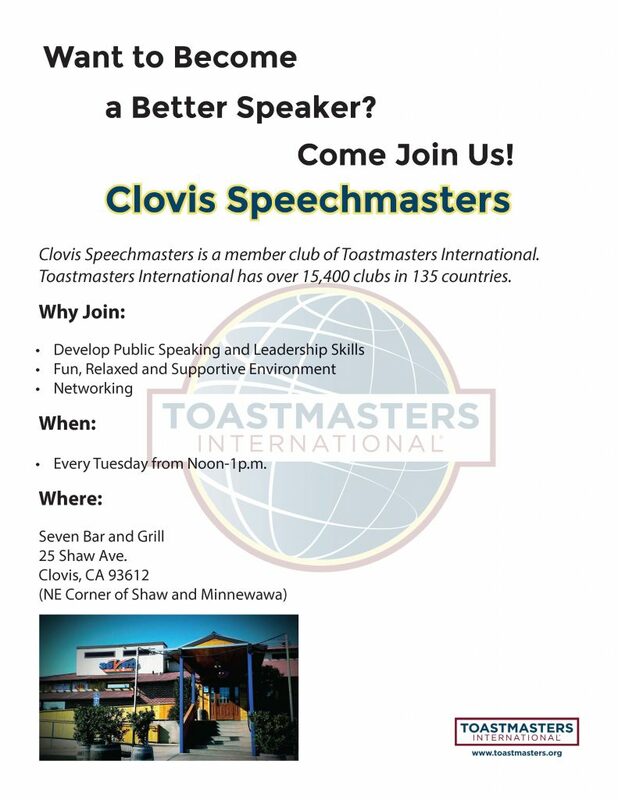 One of Clovis’ favorite breakfast spots is Seven Bar and Grill on Shaw and Minnewawa avenues, so the choice in location was easily decided. I was happy to notice not only do they serve breakfast all day, they also honor their breakfast deals all day. For $6.99, I ordered the chicken fried steak with eggs. Ron ordered a sausage, eggs, home potatoes combo with biscuits with gravy. Billy, on the other hand, ordered the club sandwich with onion rings (there is always that one person that feels the need to go against the trend SMH). Everyone enjoyed their meal. My eggs were precisely over medium, the hash browns cooked to a light crunch and the chicken fried steak with gravy was exceptional. As far as I’m concerned, homemade biscuits and gravy are the gold bar for any self-respecting restaurant serving breakfast. This is an item that only a local mom-and-pop restaurant can do justice and Seven did not disappoint. The biscuits were light and fluffy. Oh, and the bacon gravy? Very delicious! Comfort food for the soul. The third entree, the club sandwich, was stacked with generous portions of fresh deli meat, cheese, fresh crisp lettuce and tasty tomatoes. The onion rings fresh and crunchy. Everyone left satisfied and returned to work ready for a nap (insert crying emoji here). We give three YUMS! We highly recommend Seven for breakfast, lunch or dinner. Donna Melchor is the owner and publisher of the Clovis Roundup. Her love and passion for the City of Clovis and its people is the inspiration behind this publication. For her dedication, Donna Melchor has also been honored as the 2012 Business Woman of the Year and as the recipient of the 2014 Spirit of Clovis award held by the Clovis Hall of Fame.